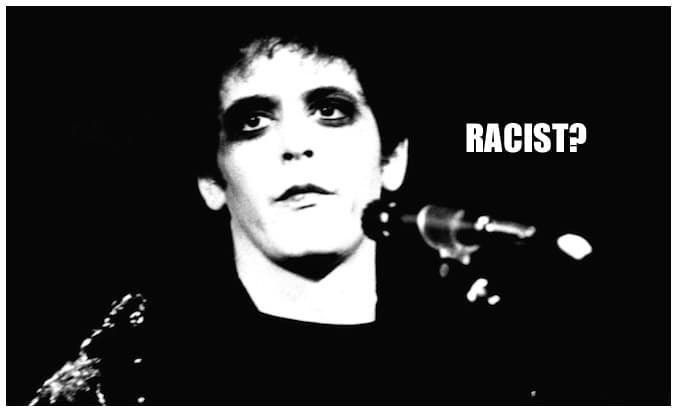 It is a huge subject; racism in song. The Rolf Harris hit, ‘Tie me kangaroo down’, has the line: ‘Let me Abos go loose, Lou… They’re of no further use, Lou.’. He has since apologised, quite hollowly apparently and unfortunately he has worse things to ruminate over. Nursery rhymes that have had to be updated and modified (rather than simply forgotten strangely) ‘Eeny, Meeny, Miny, Mo’ anybody? The reason this has cropped up is that I was at an open mike night recently where the lyrics of a love song caused a walk-out by three people in the room. The lead walker outer went as far as to interrupt and stop the singer to voice her offence. Impressively, the singer watched them leave and moved onto another song. The word in the song causing controversy in this case was ‘mulatto’. The word refers to people of mixed race and is now defined as racist because it was historically used as a derogatory word implying the person was a descendant of a black slave and white master. In this case the lyric was written by a man who was in a relationship with a mixed race woman (who is also a comedian that references racial stereotyping as part of her act). Words like this would have been part of private amusing banter. However as a lyric in a song, the context can be lost and the (white) women who walked out were offended enough to make a disruption and leave. Presumably believing the singer to be misusing a word he didn’t understand and thus causing offence. This upset the singer, not because he caused offence but that the people walking out now consider him to be a racist. As a writer of music, the incident was interesting for many reasons. We released an album with a version of Walk On The Wild Side. This Lou Reed song has the words ‘And the colored girls go’ (sic). When we covered the song we had quite a debate about this line as a band. Do we just sing it as it was? In the 1970’s when the song was written, using the term ‘coloured’ was considered as a respectful, politically correct way for white people to refer to black people. In the intervening years the reference has turned on it’s head and is now disrespectful. So should we change it to ‘And everybody there goes’? It scans nicely, says kind of the same thing but loses some of the ambiance of the original. So when performing the song live, we stuck with the original. At a gig I noticed the reaction of a young black girl in the audience. Aged about 20, she turned to her white friend an it looked like she was asking; ‘Did he just sing the word, coloured’? There was no apparent offence, it looked like mere curiosity. The realization being that she probably hadn’t heard the song before and didn’t know it was a cover we were performing. This brought a new angle we hadn’t considered. Before we recorded the song in a studio, we asked some black friends what their view on this was. People of our age, knowing the original song were fine with it being original. But, They noted that their kids being new to the song would probably react in a similar way to the audience member. Three white people performing a song with a mildly offensive racist lyric might well raise eyebrows without the known context. The danger of being dubbed as racists finalised the used line back to ‘everybody’ for the recording. So were we right or wrong?